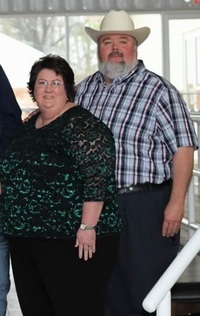 Dennis Mathews and his wife, Shellie, have been faithful members of New Life Baptist Church since September 2004. Dennis has a real passion for God and a zest for worship through music to honor and glorify our Lord Jesus. His primary goal is to bring lost souls to come to know Jesus as their personal Lord and Savior through song, testimony, and personal witness. He also serves as the Sunday School teacher for the high school boys class. His full-time, secular job is as a truck driver for Cardinal Logistics in Oklahoma City. His wife also has a passion for Christ through music and sings on the NLBC praise team. She is also the Women’s Ministry Coordinator and has the heart to serve in other areas as needed. Her full-time, secular job is as an Administrative Assistant for the Office of Research Services at the University of Oklahoma. They do not have any children but they do love dogs and have two furry “kids” of their own, Daisy and Jupiter.